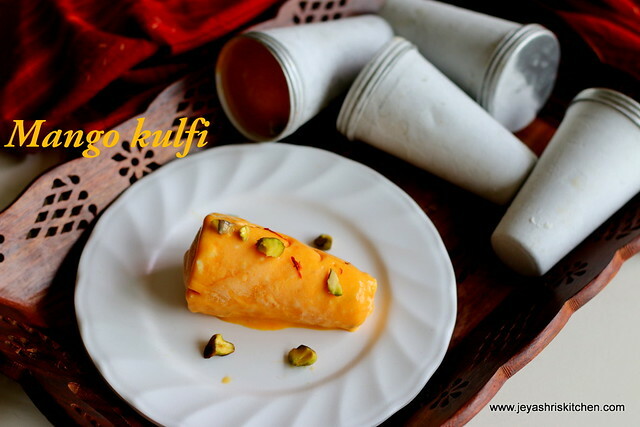 After trying out the Kulfi ice cream, which was a super hit at home, i wanted to try out mango kulfi . 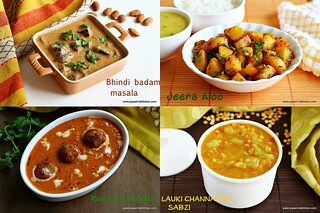 As mango season is in full swing, we are enjoying all varieties of mango here. 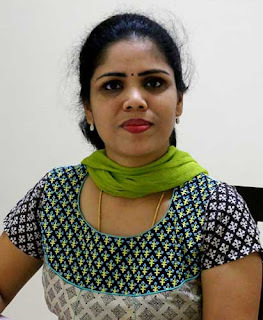 This year i am getting super yummy mangoes from Ministry of Mangoz and after heartily eating the mangoes i am made few recipes using mango. 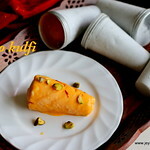 the mango kulfi turned out super creamy and awesome. 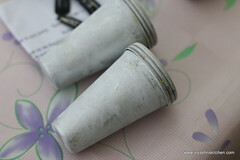 The aluminum kulfi moulds my friend bought for me from mumbai. Try out this recipe and enjoy this mango season.Try out my Mango Ice cream recipe and Mango sago Pudding. 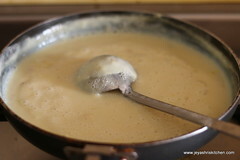 Boil the milk and add the condensed milk to this while boiling. 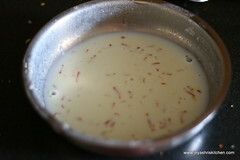 Add the saffron in a tblsp of warm milk and keep it aside. 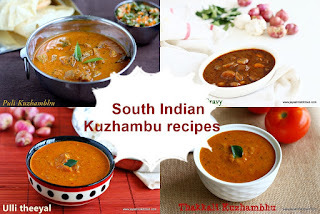 Mix plain flour in water into without any lumps. 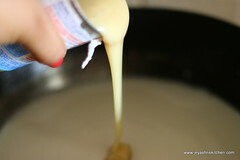 Add this to the boiling milk. stir continuously and keep the flame low. 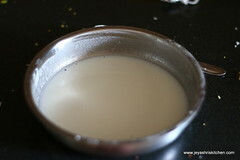 After adding milk the milk tends to be thick sooner, so be careful not to get this burnt. 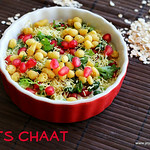 Add saffron mixture to this and mix well. If you want sugar add at this stage. I didn't add sugar as i added condensed milk and the mangoes are sweet too. The rabdis should be thick . 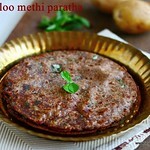 To be stated it should thick as idli batter recipe. The rabdi is ready. 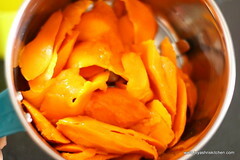 Peel the skin of the mangoes and slice the mangoes. 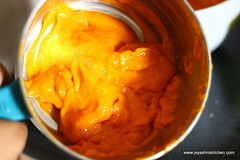 Grind the mango and make it into a puree. Allow the rabdi to completely cool. 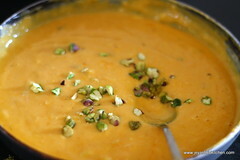 When the rabdi is completely cool add the mango pulp to this and mix well. 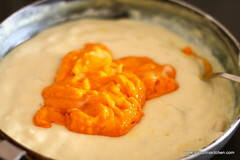 Fold the mixture gently so that the mango pulp and rabdi get mixed together. Add the chopped pistachios.If adding cardamom powder add at this stage. Add this to the kulfi moulds. If you don't have kulfi moulds set in a plastic container. Keep it in the freezer for 5-6 hours. After taking it out from the mould run it in cold water. 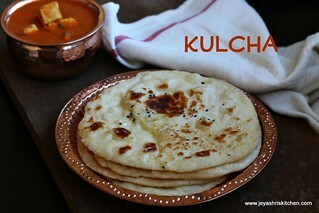 Take out the kulfi from inside. Serve it by cutting them into slices. 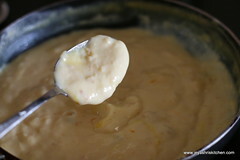 Always add the mango pulp when the rabdi is completely cool. You can add almond slices instead of pistachios. 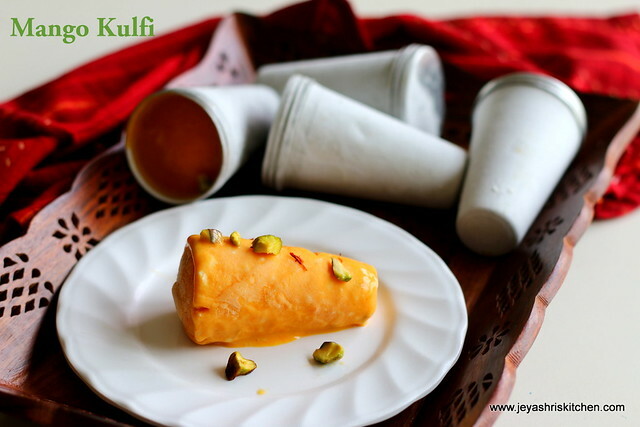 Alphono mangoes are best for these kulfis. 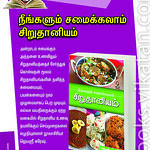 Do not add the flour more than the quantity mentioned. Alphonso mango kulfi - great combination...Love it. 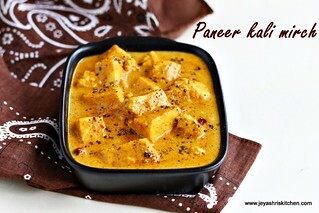 Yummy and tempting one...sure to try this season..
looks so creamy and tempting. 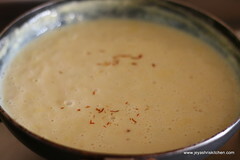 Tempting Kulfi Jeyashri. 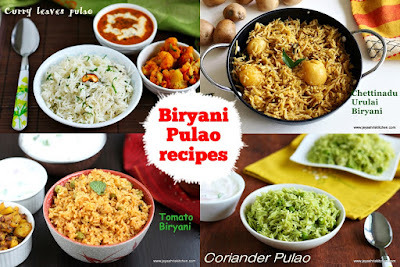 You post so many different recipes. Kudos to you. 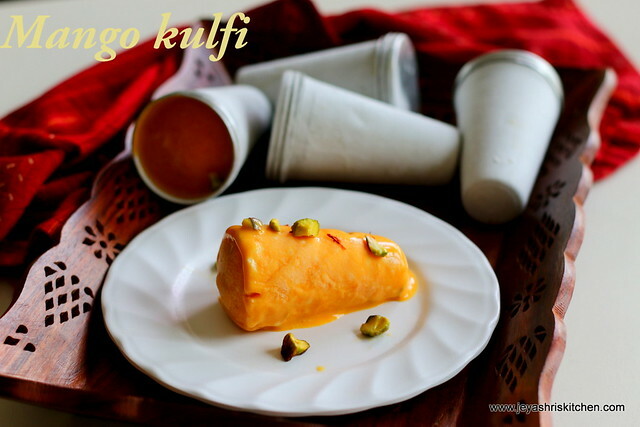 Mango kulfi looks delicious and tempting.